Security concerns took centre stage in the final days of France’s tight presidential race, as candidates defended their stance on the fight against terror, following a shooting in Paris that killed one policeman. 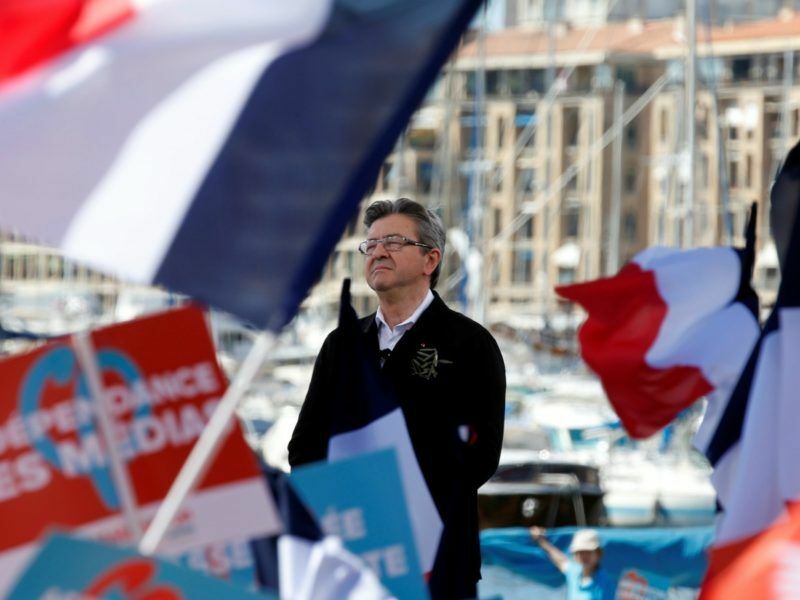 Voters will cast ballots in the first round on Sunday (23 April) of what has turned into the most unpredictable French election in memory as the gap between four frontrunners narrows. The two candidates who get the most votes will then face off in a run-off election on 7 May. 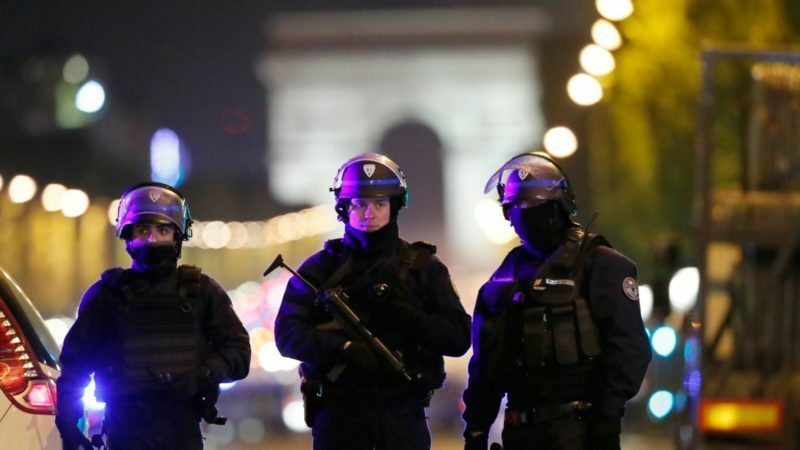 An attack on Thursday night (20 April) on the Champs-Elysées shopping boulevard in central Paris, in which one police officer was killed and two others were wounded, could bring campaigning to a sombre and abrupt end, however. The shooting unfolded as presidential contenders were mid-way through back-to-back television appearances to sell their campaign programmes. Islamic State claimed responsibility for the attack, according to the group’s Amaq news agency. Some of the candidates later clashed over whether official campaigning, which has just one more day to run, should be brought to a full stop in light of the incident. “In this current context, there are no grounds to continue campaigning. We must first show our solidarity with the police,” conservative candidate François Fillon told the France 2 show, after saying he would cancel a trip to the Alps on Friday. Je considère qu'il n'y a pas lieu de continuer une campagne électorale parce que nous devons manifester notre solidarité avec les policiers. Fillon, who has sought to reinforce his credentials as a hard-liner on security, added that fighting “Islamist totalitarianism” must be the priority for the next president. Far-left politician Jean-Luc Mélenchon said the candidates should not cave in to violence. “As we wait for more definite information, I think we need to attend to our duties as citizens: no panic, we shouldn’t interrupt our democratic process,” Mélenchon said. Pollsters see centrist Emmanuel Macron and far-right leader Marine Le Pen taking the top two places on Sunday and so going head-to-head in the run-off. That would break the normal rotation of power in France between the centre-left and centre-right. Macron, a former banker who quit as economy minister last August to set up his independent “En Marche!” (“Onwards!”) movement would beat Le Pen or any other candidate in the run-off, the latest polls show. But these are so close that gaps between candidates in the first round fall within the margin of error. Mélenchon, propelled from wildcard to genuine contender thanks to feisty television performances and smart social media campaign, is virtually neck-and-neck with Fillon and only a few percentage points behind the frontrunners. French far-left presidential candidate Jean-Luc Melenchon drew tens of thousands of supporters to an open-air rally on Sunday (9 April), underlining his surging popularity just two weeks from the unpredictable election. Security fears had already reemerged in the run-up to a first ballot after an attack thought to have been targeted at some of the candidates was foiled earlier in the week. France has been hit by a series of deadly attacks since 2015. Le Pen, who has stressed her plans to curb immigration in the last week as she tries to rally support, on Thursday night also seized on the latest incident. Earlier in the evening, Macron also weighed in on the shooting, saying the president’s No.1 job was to protect people. The election will decide the direction of France’s 2.2 trillion euro economy, which vies with Britain for the rank of fifth largest in the world. With Eurospectics Le Pen and Mélenchon in the race, the outcome could have a bearing on France’s place in Europe. A Harris Interactive poll on Thursday showed Macron and Le Pen still in front, with the gap a bit wider than before. The centrist inched ahead to 24.5% while Le Pen was a bit weaker at 21%. Fillon – an early favourite before his campaign hit the rocks following nepotism allegations that he has denied – scored 20%, meaning he was now gaining on Le Pen. Mélenchon was stable at 19%. The terrorist attack in Paris is reminder that terrorism can strike anywhere, at any time – something that Indonesia & US know all too well. Canada stands with France, as we always will, against terror. Our thoughts are with those affected by today's attack in Paris. Macron tells people ‘not to give into fear and sentiments that divide us, because that is what the terrorists expect of us’. But is just telling people not to defend themselves and just let Islam take over. Like not standing up for yourself is going make Islam gently go away or something. Why do otherwise sensible people advocate Islamization and the destruction of homogeneous European ethnicities? why the self-hate? When is the EU going to cleanse its institutions in Brussels and Strasbourg of the Terrorist facilitators?